Growing up Southern, I'm good friends with banana pudding. And though I love the really homemade stuff my sister-in-law can whip up, I'm also a fan of the straight-up box-pudding and cool-whip version. It's one of those things that you know isn't good for you and you can't even tell why you find it so yummy but...hey, it's banana pudding. You don't argue with banana pudding. I'm a nanny to two little blonde girls and it has become canon for me to take hold of their ponytails and twirl them in my fingers saying, "You know what your hair reminds me of?" 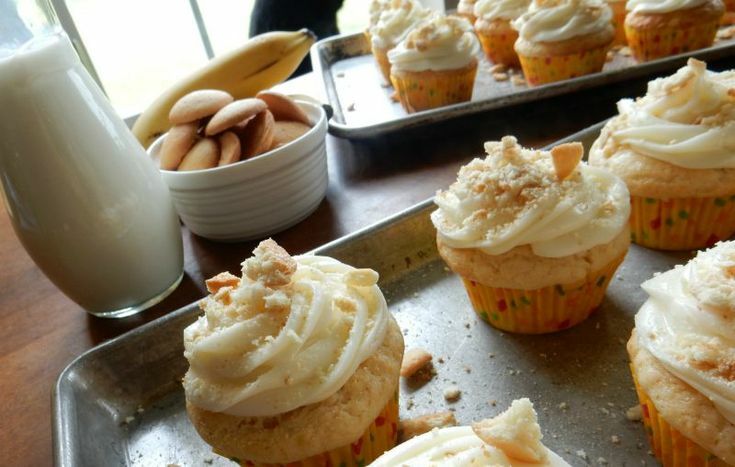 So when Lila turned six, I decided I would create cupcakes inspired by banana pudding in honor of the birthday girl. My common procedure for recipe-development is to come up with an idea, Google it to see who's done what, scrap most of their ideas and craft it my way. 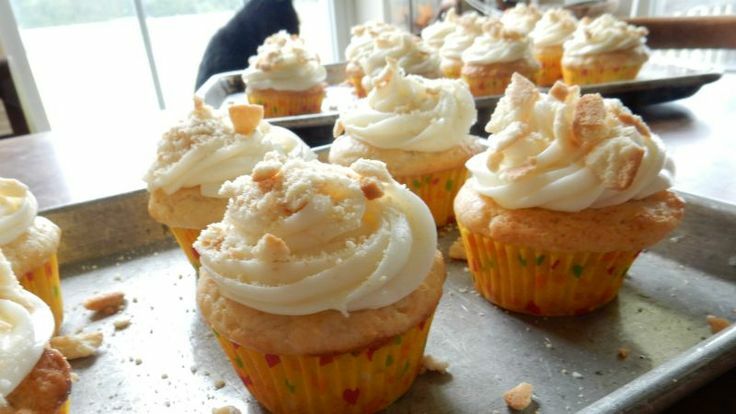 Too many of the existing recipes for Banana Pudding Cupcakes relied far too heavily on cake mixes, pudding mixes, and the like, or were downright strange, like crumbling Nilla wafers into the icing. 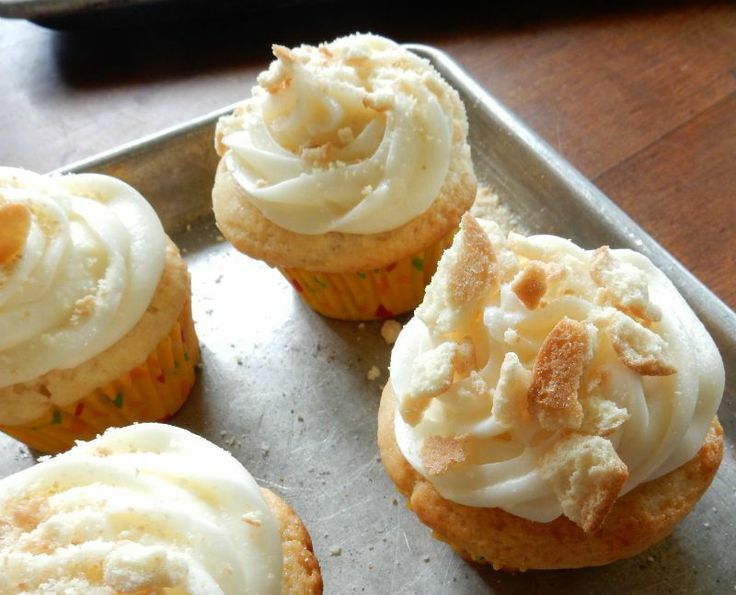 I'm not saying that doesn't taste good, but I don't like soggy crumbs in my frosting. It reminds me of so many failed birthday cakes. I also knew that I wanted a banana cupcake without the cupcake turning into a sad little frosting-clad muffin. There is a distinct line between a cupcake and muffin and I was afraid adding banana would blur that line, which I was not okay with. 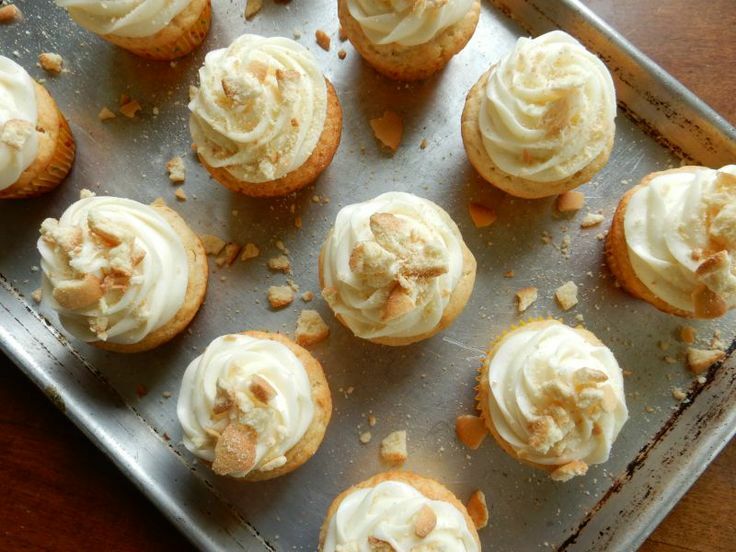 So I weaseled a compromise by choosing a richer sour-cream cupcake recipe, rearranging some of the ingredients, substituting mashed banana for a little of the butter, and accidentally doubling the sour-cream and thus omitting the milk. Turns out, that was the best possible accidental-brilliance that could have happened because these cupcakes are, to quote the Uggs-wearing, PSL-drinking "typical white girl," on point. 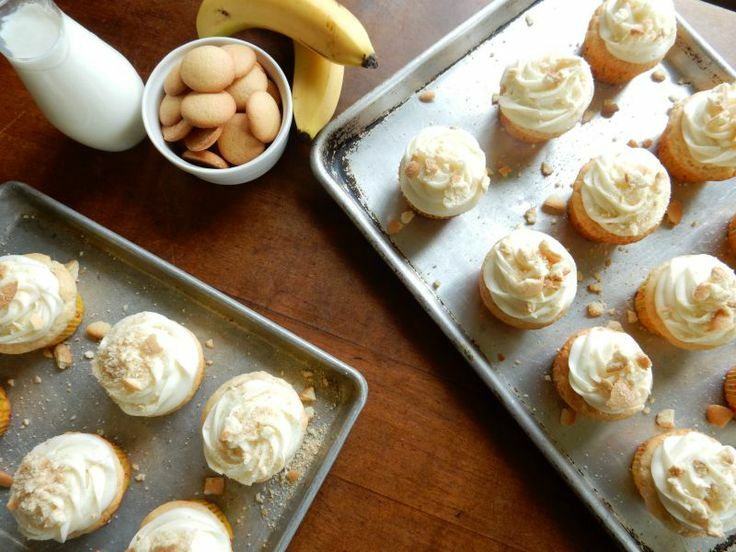 A delicate, moist truly-banana cupcake filled with pudding, topped with tart cream-cheese frosting to balance the sweetness of the other components. What's not to love? 1.) 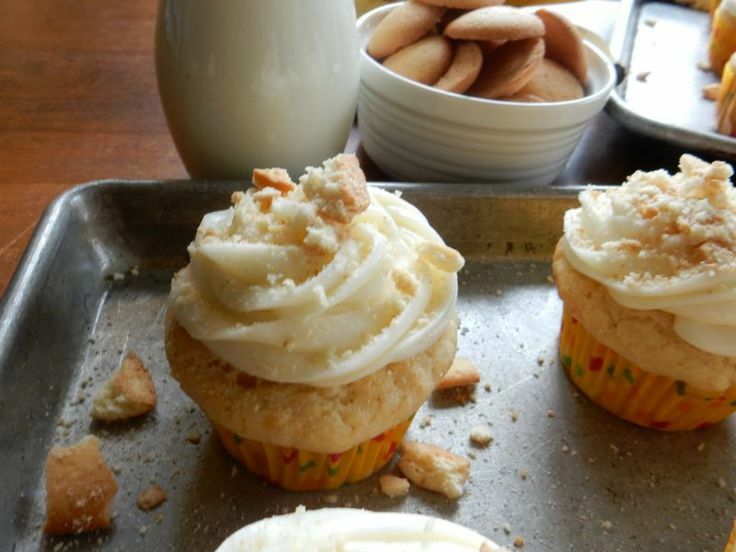 To make cupcakes, cream butter and sugar till fluffy. Add mashed banana and eggs, one at a time, stirring well after each addition. Add sour cream. Add flour and stir till just combined. Don't over-mix! Line cupcake tin with wrappers and lay one Nilla wafer in the bottom of each wrapper. Spoon batter into tins and bake at 350 degrees Fahrenheit for 25 minutes or until golden. Allow to cool. 2.) While cupcakes are baking, mix pudding according to instructions on the box and allow to set in fridge. 3.) Whip cream cheese with butter. Add most of the two pounds of sugar and the milk, beating until whipped into the desired consistency. In a separate bowl, crush a cup or two of Nilla wafers. 4.) 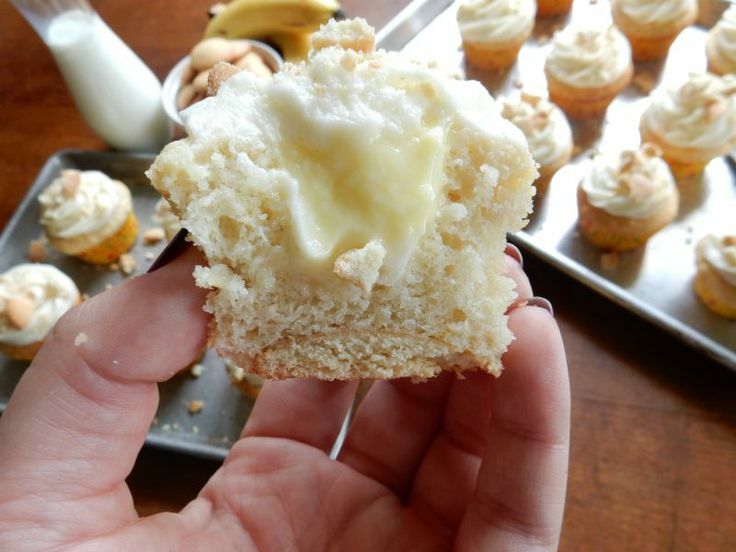 When cupcakes are cool, cut a small plug out of the center of the cupcakes and fill the resulting cavity with banana pudding. 5.) Pipe frosting to cover and decorate with Nilla wafer crumbs. 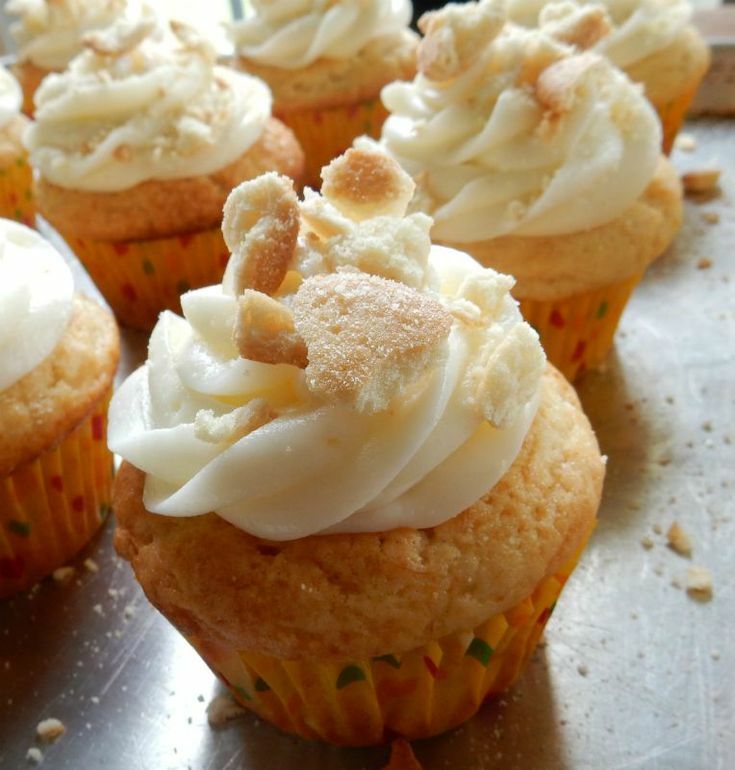 Keep refridgerated until you are ready to enjoy the brilliance of your Banana Pudding Cupcakes! Looks great! I was never the biggest fan of bananas... but I might make this for my family! Lovely cupcakes :) What a great idea for a birthday present!